Meet five New Zealand teens who are some of the most dedicated music lovers out there - lining up for hours on end to be able to see their favourite artist from the very front row. Lola, Holly, Jinelle, Fiorella, and GG, are just some of these devoted fans, who spend their spare time on social media, making friends through fanbases, lining up for shows, and living for concerts in general. Lining up overnight, or even for several hours can be exhausting work - and that’s where the new Converse Chuck Taylor All Star II Shield Canvas comes into play. They’re a brand new take on the Chuck II’s that were originally released last year, but this year they’re taking on all forms of weather with their new features. The shoes come following the launch of Chuck II’s last year, which use Nike’s Lunarlon cushioning to provide ultimate comfort for your feet. The foam base is unlike anything Converse had ever released before, and they carry through into this new range, continuing their trend of ultra-comfort, but also ultra-stylish. The Shield Canvas are also incredibly waterproof, thanks to the material out of which they’re made - it’s totally water-repellant, meaning you don’t even have to bother water-proofing your shoes before you wear them. The gusseted tongue also helps to keep your feet totally dry, meaning that no water, dirt, or anything else can get into the shoe at all whilst you’re wearing them. Rain? Hail? Storm? 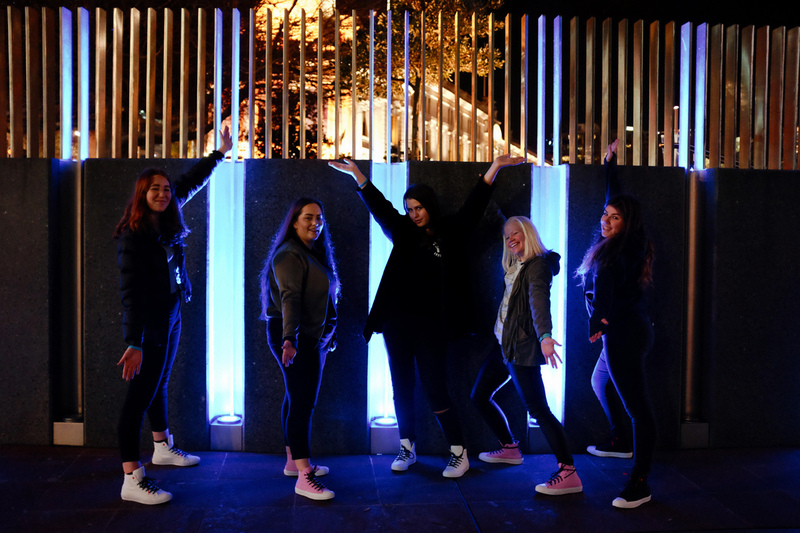 The Shield Canvas can protect you in all climates, and that’s what Lola, Holly, Jinelle, GG, and Fiorella all discovered when wearing their new pairs of Shield Canvas shoes while lining up for the first of Troye Sivan’s recent sold-out shows at Auckland’s Town Hall. The weather was glum and rainy, but their feet survived - and all the while they stayed comfortable and warm. The Converse Chuck Taylor All Star II Shield Canvas are available now online and in selected stores - click here to shop 'em.